Five years ago, Tinchy Stryder was crowned Britain’s highest-selling solo artist. A year later, he embarked on his second sold-out national tour. And then, he vanished. His hiatus from releasing music – he never stopped making it – sanctioned Stryder to capitalise on his newfound commercial potential, primarily drawn from a wave of national and international success. Tinchy became grime’s second artist to penetrate pop culture, after fellow East Londoner Dizzee Rascal, leading to approaches from Dixons and Japanese car manufacturer Honda. The latter venture saw him front up the brand’s European marketing campaign. As a result, Kwasi was catapulted from underground luminary to a household name, beamed into the homes of the public via appearances on numerous TV channels. Triumph after triumph was his to enjoy – but while this period was gratifying, it took its toll. Anxieties began to play on his mind about having to eventually top that success. Instinctively, Tinchy attempted to better his first three albums – ‘Third Strike’, featuring the MC-pile-on of ‘Game Over’, emerged in 2010 – by starting work on a fourth album in 2012. But he soon enough scrapped that progress to start afresh by beginning his own imprint, Takeover Records. It’s a move that he says has unburdened the decision process when releasing music. “I’ve been with a major label and everything, but now it’s independent,” he says, beginning to delve into the concept behind the new album. “That full creative control alone is 360 degrees, back to where you were, but in a stronger position. The decision to follow the independent route was somewhat shaped by the changing landscape of an industry where traditional methods are succumbing to the impulsive nature of the digital age. Industry wide, record sales are declining and, coupled with the emergence of streaming and social media, some of the more familiar ways and means have become outdated. “It’s a challenge, but that’s the most interesting part about it. Before, it was more of a formula: do this and do that, the same routine. But now it’s exciting. With music these days, you can put a song out today and in a week’s time it feels old – we’re at a stage where things come and go so quickly. Grime’s coming of age. Inaugurated by Wiley and the rest of Roll Deep, it was stunted by a turbulent phase of censorship where the genre drew criticism from all quarters – including Downing Street – meaning the sound was ultimately pushed back underground. Tinchy and the rest of grime’s second generation picked up the baton on the other side, and have again steered the garage offshoot to broader territories. “Music is like fashion,” says Tinchy, “it always comes round. Now the interest has come back to grime a bit more.” He identifies Skepta and the Boy Better Know camp as a few of the scene’s frontrunners in 2014. To some we’re in a golden age for grime, with acts selling out shows – when they are permitted to go ahead – and once again taking the scene to an international stage. This is momentum initiated in part by Tinchy, who was one of the first amongst grime’s new school to broaden his sound. “When I released ‘Third Strike’ people were like, ‘Wow this is different,’ especially with the single ‘In My System’. But that sounds like a lot of the music out right now. In keeping with the era of new rules – or no rules, depending on how you see it – Stryder’s new single ‘ESG’ was available on iTunes and Spotify minutes after surfacing online, a shock tactic that has experienced high levels of success across the pond. ‘ESG’ is out now. 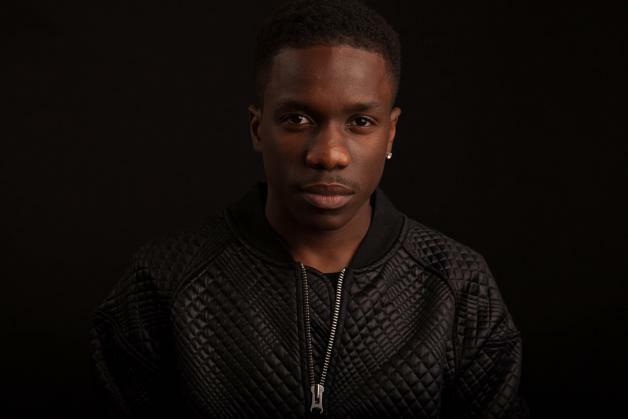 Find Tinchy Stryder online here.